THE WEEKLY REBUTTAL HAS MOVED TO BRAVEHOST--VISIT US HERE! Are You a Republican or Democrat? Find Out Here! 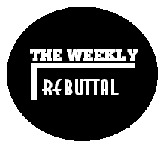 Take The Weekly Rebuttal quiz! So what's new on this here, uh, what is it again....oh yeah, BraveHost you ask? Well of course our new MASCOT Mr. Phoenix! Our new gallery of HOT OFF THE PRESS News links, the most up to date rebuttal articles, and of course the new Conservative Corner and Liberal Lounges (although currently being constructed). Pretty much nothing has been left out, but everything has been improved 100 fold. Come and see for yourself. HERE! or simply click on a link on the navigation bar.